Biomass boilers are heating appliances that are fueled biogas, biodiesel or fossil fuels (firewood, briquettes, pellets, wood chips). For domestic purposes, e.g. heating the single family houses it is recommended to use a solid fuel boiler. This is an independent way of heating and does not require a connection to other buildings, engineering networks. Wood is available to moderate costs and easy to handle. Biomass boilers can be equipped in addition with small storage tanks for hot water – in this case hot water is prepared, stored and immediately available for hot water demand. 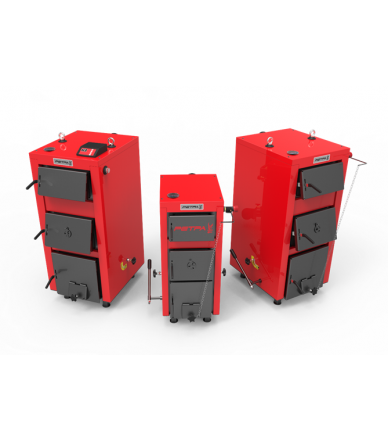 Biomass boilers included in the Technology Selector are most efficient with >85% efficiency and ‎have been assessed to result in at least a 20% higher energy performance than the market average. 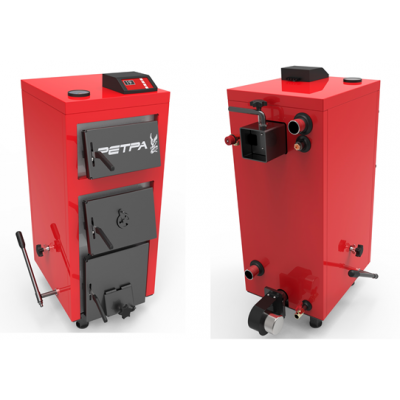 Solid-fuel boilers of the models "Retra-5M" are household boilers, which operate on the principle of top fuel combustion. The walls and grate grille are cooled with water and made of high-quality steel. Fueling and evacuation from the grate is manual. The boiler is equipped with a mechanical fuel thrower and works with a mechanical throttle regulator. 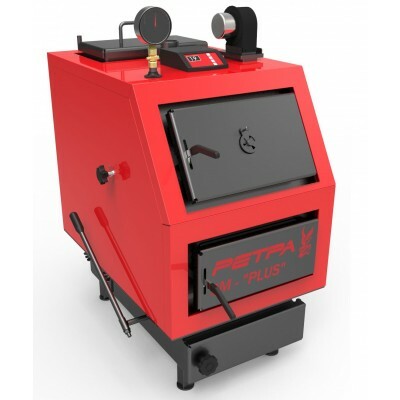 The solid-pouring boilers of the Retra-5M PLUS models are pulverized boilers, which are designed according to the principle of the upper bubble bath. The walls and walls of the grid are watered and watered from the steel sheet. Zavtazhennya paliva that zolovidennya z golosnikovyh lattice hand. 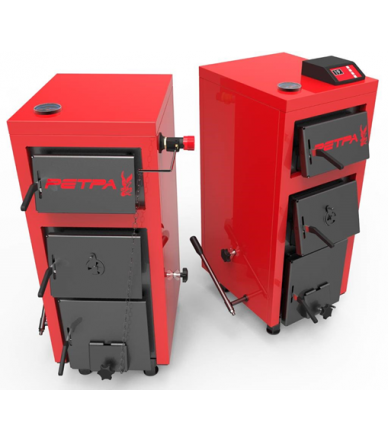 Solid-fuel boilers of "Retra-5M PLUS" models are domestic boilers operating on the principle of upper combustion of fuel. The walls and grate are cooled by water and made of high-quality steel. Loading of fuel and ash removal from the grate is manual. The boiler is equipped with a mechanical baking powder. The scope of delivery includes a fan and a control unit (controller), which controls the combustion process and the operation of the central heating pump. 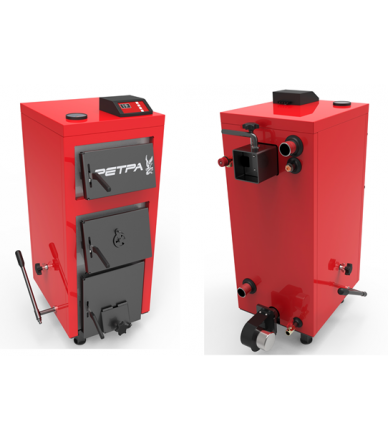 Solid-fuel boilers of the models "Retra-5M KOMFORT" are household boilers, which operate on the principle of the upper combustion of fuel. The walls and grate grille are cooled with water and made of high-quality steel. Fueling and evacuation from the grate is manual. The boiler is equipped with a mechanical fuel thrower. Includes a fan and control unit (controller) that controls the combustion process and the operation of the central heating pump. 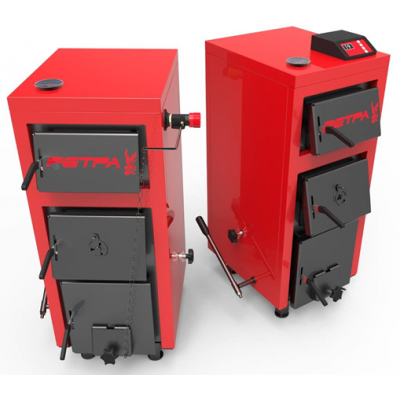 In the boilers of the "Retra-5M KOMFORT" model, a furnace is lined and a place for the installation of a pellet burner is provided. Boiler "Retra-3M" is used for central heating of individual apartment, office, industrial, warehouse, etc. 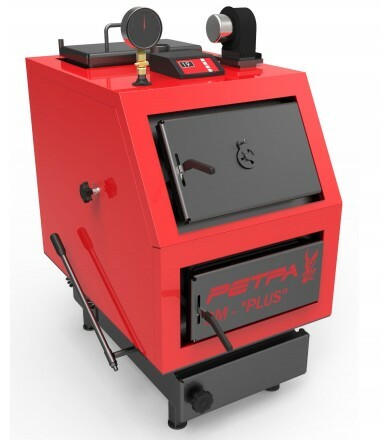 It works with manual loading and adapted for the burning of any kind of solid fuel. The boiler is equipped with fans, electronic control panel, a group of security. Sophisticated design and distribution system in the furnace air supply ensures maximum efficiency and a high efficiency boiler reaches 93%. Daily automatic fuel supply in the form of pellets, wood, peat, husks, sawdust, etc. Mode manual loading firewood, coal, fuel briquettes and other fuel. Equipment efficiency reaches 93%. 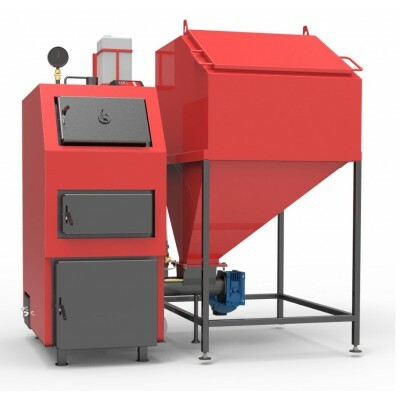 The price included a boiler hopper with screw, fire extinguishing system, pellet burner, fans, remote management, security group.